Hollywood Monsters was a Spanish adventure game released by Pendulo Studios in 1997. 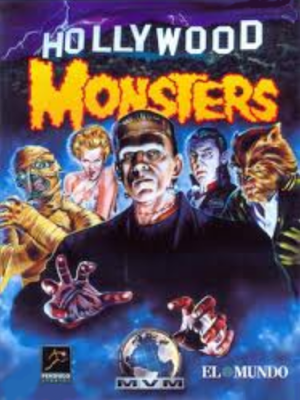 Sue Bergman and Ron Ashman are two journalists who are sent to Hollywood to cover a "Monsters' Ball", a social event where all of Hollywood's movie monsters are gathered. It never received an official English translation. However, in 2012, two fans released an unofficial English translation patch of the game that works with the original Spanish CD and digital versions.